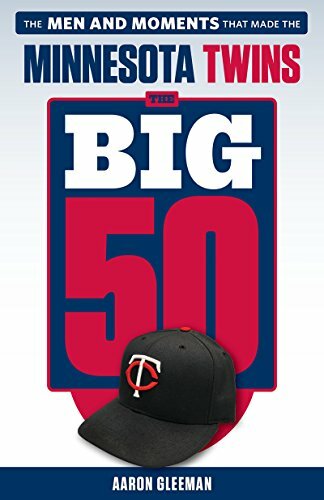 • Reminder: I'll be watching the Twins' opener against the Orioles this afternoon at Wild Boar in Hopkins with my "Gleeman and The Geek" co-host John Bonnes and some other familiar names. First pitch is scheduled for 2:05, so I'd encourage everyone to leave work early and join us for some baseball and beer. Click here for more details. I'd have sent Chris Parmelee to Triple-A to begin the season, but if you assume that those nine players must start on Opening Day that's exactly what my batting order would look like. I'm not sure if that's a good thing or a bad thing, but it's something. • I wrote all the season previews for AL Central teams at HardballTalk and concluded that the Tigers are clear front-runners, perhaps more so than any other team in any other division, while the Indians, White Sox, Royals, and Twins are each very capable of finishing anywhere from second place to last place. If everything breaks right for the Twins staying in contention deep into the season is possible, but my guess is that they finish right around .500. • While a .500 record may not sound very optimistic, Las Vegas has the over/under for Twins wins around 73, which is higher than only the Astros and Orioles, and ESPN.com's season simulation based on Baseball Think Factory's excellent ZiPS projection system has the Twins going 70-92. They were so awful last season that improving by 15 games would still leave them at 78-84, so .500 would be quite an accomplishment. • Jason Marquis needs to build up his arm strength after leaving spring training to be with his family following his daughter's bicycling accident, so he's agreed to an assignment to Double-A and will have his turn in the rotation skipped at least once. And thankfully his daughter is making good progress in her recovery. • Scott Baker exited yesterday's minor-league start after just 11 pitches, so it doesn't sound like he'll be returning from elbow problems any time soon. • As if the Twins didn't have enough question marks, Buster Olney of ESPN.com crunched the numbers and found that they have the toughest early season schedule in the league based on 2011 records. 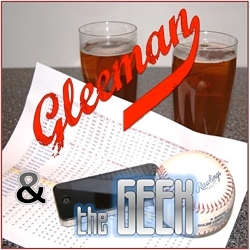 • In addition to being an excellent guest on this week's "Gleeman and The Geek" episode Ben Goessling of the St. Paul Pioneer Press also wrote a lengthy, even-handed, and interesting article about all things Joe Mauer. Once you're done reading it follow Goessling on Twitter and bookmark his blog. Good writer, good guy, and good addition to the local Twins media. "The Big Hrbowski" is the role Kent Hrbek was born to play. • For months Terry Ryan insisted that Trevor Plouffe would be used exclusively in the outfield after his disastrous rookie showing at shortstop, but now that the Twins don't have a true backup shortstop on the roster suddenly Plouffe is in the infield mix again. Plans changing was the theme of this spring, but giving Plouffe some chances at second base or third base is a worthwhile idea while they try to figure out where he fits offensively and defensively. • Seth Stohs has a complete rundown of all the minor-league rosters over at Twins Daily. Of my top 10 prospects, Miguel Sano and Eddie Rosario will be at low Single-A Beloit, Oswaldo Arcia and Levi Michael will be at high Single-A Fort Myers, Aaron Hicks and Alex Wimmers will be at Double-A New Britain, Joe Benson and Brian Dozier will be at Triple-A Rochester, Kyle Gibson will be rehabbing Tommy John surgery, and Liam Hendriks will be in the majors. • Parmelee working his way on to the Opening Day roster left the Twins short a Triple-A first baseman, so they acquired Matt Rizzotti from the Phillies for cash considerations. As a 26-year-old career minor leaguer available for basically nothing Rizzotti is hardly a prospect, but he's consistently had very impressive numbers that include a .295/.392/.511 line with 24 homers, 34 doubles, and 79 walks in 139 games at Double-A last season. • Matt Bashore starred at Indiana University and was the Twins' supplemental first-round pick in 2009, but arm problems have limited him to just 19 career innings and he was released last week. They also released 2009 third-round pick Ben Tootle, a hard-throwing right-hander whose career was similarly ruined by injuries, and Dustin Martin, an outfielder acquired from the Mets along with Drew Butera in the mid-2007 trade for Luis Castillo. • Joel Zumaya underwent Tommy John elbow surgery last week and instead of putting him on the 60-day disabled list all season the Twins released him. And despite his one-year contract supposedly being "non-guaranteed" they're apparently on the hook for his entire $850,000 base salary rather than the initially reported $400,000. • Back in December the Twins traded Kevin Slowey to the Rockies for marginal prospect Daniel Turpen and then six weeks later the Rockies traded him to the Indians, who were looking for rotation help following Fausto Carmona's arrest on false identity charges. Cleveland gave up a better prospect for Slowey than Colorado did, yet even with Carmona still out of the picture the Indians decided to send Slowey and his $2.8 million salary to Triple-A. • Pat Neshek had a 0.00 ERA with eight strikeouts and zero walks in nine innings this spring after signing a minor-league deal with the Orioles, but they sent him to Triple-A anyway. • Matt Tolbert, did not make the Cubs on a minor-league deal and will begin the season at Triple-A Iowa. • Cristian Guzman, who was attempting a comeback at age 33 after sitting out all of last season for personal reasons, was released by the Indians. • Johan Santana returned from shoulder surgery to throw five scoreless innings in his first start since 2010. • Jason Bulger and Steve Pearce both signed minor-league contracts with the Yankees after being released by the Twins in the middle of spring training. • If you're interested in keeping tabs on Twins prospects this season Twins Fan From Afar is a blog you should definitely check out, as Andrew Walter will attending games in New Britain, Connecticut and writing about the Double-A team that includes top-40 prospects Hicks, Wimmers, Chris Herrmann, David Bromberg, Deolis Guerra, and James Beresford. • For anyone who plays Hardball Dynasty on WhatIfSports.com my league is looking for a couple new owners and our next season begins soon. Before contacting me, click here. • If you impersonate Bert Blyleven on Twitter he will tell you to "get a life a-hole." • Last but not least, thank you to everyone who stopped here during the too-long offseason. My goal each winter is to find enough interesting stuff to write about that most of you keep showing up, but I'm ready to talk about actual games again and look forward to my 11th season of blogging. Thanks for reading AG.com, thanks for following me on Twitter, thanks for listening to the podcast, and thanks for supporting my work at NBCSports.com and Rotoworld. Happy Opening Day, Aaron! See you tomorrow at the Boar! Congratulations on the start of the new season and your Fan of the Year award! It’s going to be a long summer, I’m afraid, but that’s baseball, right? Twins fans have endured dry spells before and lived. I think the key to enjoying this season is letting go of our 2001-2010 expectations. Simply enjoy the games, fabulous Target Field, and whomever you are watching the game with. Maybe the Twins will surprise us, but don’t count on it. I’ll be dressing up in my Twins regalia and heading to up to Balt on Sunday to see Mr. Hendriks — wish us luck! Does it make more sense to have Willingham bat 4th & Morneau bat 5th? Morneau is the better hitter when healthy, but late-game situations are going to have every manager in the league pull in their LOOGY and have him pitch to 2 batters if Mauer & Morneau are back-to-back. I dunno on this one. Otherwise, I don’t have any real problems with this batting order for this group of hitters. I like Parmelee more than many, but I understand the hesitation and skepticism on him. Here’s hoping he keeps knocking the cover off the ball. Aaron, did Parmelee cut you off in traffic or something? I understand and agree with your point that he is more likely the player that put up mediocre minor league numbers than the guy who lit it up in a brief stint last year. But don’t you think his success in that brief stint and again in spring training warrants more opportunity at the major league level? I don’t want to give him a 5 year deal or even rely on him as a everyday player. But I think he absolutely deserves to be on the MLB roster. Josh – they could bump Mauer up to 2nd where he belongs although then I’m not sure if Willingham is worthy of the 3 hole. Maybe Bert doesn’t know that imitation is the sincerest form of flattery. Well, I suppose this could turn out like the 1969 season, but 1981 is more likely. Hope springs eternal.